It was mid-afternoon when the pirates boarded. Twelve of them, armed with rifles, swarmed onto the small tug boat chugging through the Malacca Straits - one of the world's busiest and most important waterways. They quickly took command, stealing the boat's navigational and communications equipment - and the crew's personal belongings - then kidnapping the boat's captain and chief officer. Both men were released unharmed a few days later. A ransom was almost certainly paid. It may seem like small fry compared to the situation off the coast of Somalia. But this isolated incident has the power to get some people here in Asia very worried. This kind of hostage-hijacking was a regular occurrence in the Malacca Straits five years ago, and some are asking why it's reared its head again now. Noel Choong, at the international piracy reporting centre in the Malaysian capital Kuala Lumpur, says he is very concerned. "I'm afraid of a resurgence of this kind of attack" he said. "There's so much publicity from Somalia, and pirates [here] are looking at how much Somali pirates are making." Of course, he says, the difference here is that police will look for you. 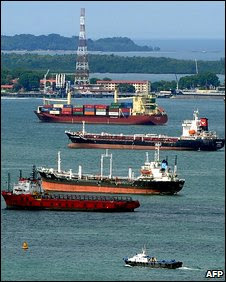 Indonesia, which shares the Malacca Straits with Malaysia and Singapore, used to be the world's worst piracy hotspot. In 2003, the International Maritime Bureau (IMB) received 121 reports of actual or attempted attacks in Indonesian waters - more than Somali pirates carried out in East Africa last year. But last year, Indonesia generated only 28 reports - most of them low-level, opportunistic attacks. That's down to some big changes in counter-piracy operations here. Four years ago, Indonesia and its neighbours began joint patrols of the international waterways here. Around the same time, the US injected several million dollars to pay for high speed patrol boats and training for Indonesia's marine police. Japan provided more patrol boats, and radars to help detect attacks. A senior US official involved in the process says that initial investment led to a 300% rise in seizures in the first year, which recouped more than twice the initial investment. Patrolling Indonesia's vast snaking coastline is expensive, and with the military budget spent before it even hits the kitty, Indonesia needs international help in tackling piracy almost as much as East Africa does. But there is one thing Indonesia has which Somalia doesn't, and it is crucial: a well-functioning state. "We believe there's no other answer," Capt Pottengal Mukundan, a spokesman at IMB headquarters in London told me. "Not private security firms or whatever - it's up to the governments to deal with it." He said: "The US and Japan provided assets to beef up operations, but ultimately it's Indonesian and Malaysian actions which have brought about that change [in the region] - and that's something they don't get enough credit for." The US says that this kind of result would not have been possible without a huge amount of political will from Indonesia and its neighbours. A top US official told me: "Quality leadership [in key positions] has really changed things." So has a new joint security body, which brings together Indonesia's navy, marine police, fisheries, transport and immigration officials to patrol the country's waterways. "Fighting piracy has been our biggest success story," said Chandra Motik, a special adviser to the Navy chief of staff. John S Burnett, author of Dangerous Waters: Modern Piracy and Terror on the High Seas, believes there are new reasons why hostage-hijackings like the ones seen in East Africa are becoming more attractive to pirates here too. 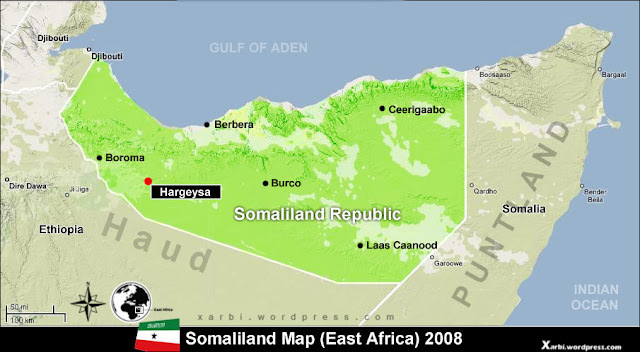 "My concern is that with this new global financial crisis, we're going to see a lot of Somali copycat attacks in Asia. "Pirates now realise that hijacking a ship for human cargo is far more profitable and less risky than dealing with illegal goods." Greater port security and monitoring of vessels has made it harder to simply repaint a ship and pull into a port to sell its cargo, he says. As many pirates here are simply petty criminals or unemployed fishermen looking to make a quick buck, the headlines from Somalia send a potent message. Piracy here reached a peak during the last Asian financial crisis in the late 1990s. According to the IMB, Indonesia and Malaysia have already increased their patrols to try to contain any rising threat. "Pirates are lying low because of aggressive patrols," explained Noel Choong from the Piracy Reporting Centre, "but they're not detained or arrested - they'll rise up again once patrols stop." Capt Mukundan agrees that Indonesia and its neighbours will need to keep a tight grip to stop the situation spiralling back to where it was a few years ago. But he says copycat attacks like the ones in Somalia simply "can't happen" in Asia. Isolated incidents are one thing, but 15 vessels held along a small stretch of coastline? "I can't imagine any country tolerating it," he says. "Of course they're listening, but whether they can pull off an attack like that here, today, is another matter."